When products are made incorrectly, the consumer is the real winner, and such is the case with these Router Mats from Woodpeckers. Woodpeckers picked up a full pallet of router mats that were cut to an incorrect size of 22 x 25” and they are passing along the savings to us. For $25 you get a pack of 10 router mats, which is only $2.50 each; I don't even think Harbor Freight has them that low. The only thing that might get you is the shipping. 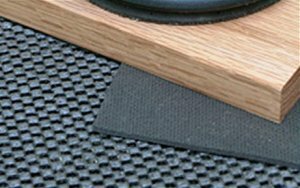 There are a few different styles of router mats on the market; these are the raised mesh style that allows dust to fall into the gaps. Did I mention that these are made in the USA? You just need to figure out what to do with 10 router mats. You could make a few DIY router cookies, make a few non-slip jigs, you could use them as work mats, or even line a few of you tool drawers.